Role cards to organise a debate on alternative ways of consuming. Every students has a role and a couple of indications on his/her character. The main topic is consumer society and the alternative ways to consumer less. The present downloadable teaching material is meant for high school students and adults at Intermediate (B1), Upper-intermediate (B2) and Advanced (C1) level. It is excellent for enhancing your groups' Speaking skills. 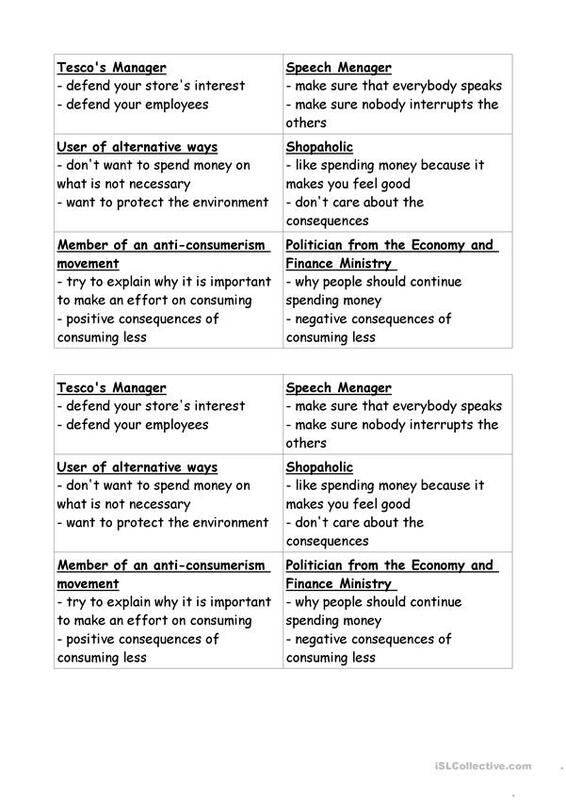 It focuses on the vocabulary topic of Debate.